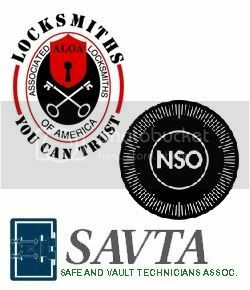 Just find a locksmith you trust! Then you can never need one. As any small business, Brucar Locksmith works hard to get the attention of new clients while also working even harder to retain current clients. How we do that is with great service and reasonable pricing. And honesty. Not every locksmith company is that way, or what they seem. This has been discussed time and time again by us and other locksmiths around the country. But at some point we thought, why perpetuate fear?? Instead, we chose to focus on all of the positive reasons you should use Brucar Locksmith (or any legitimate locksmith that you trust), and limit focusing on all the negative reasons to be wary of the infestation of fake locksmith companies that pop up on local searches for locksmiths. We learned pretty quickly that we can’t beat them. Them, being the locksmith scammers. They are all over Google and Yahoo and Bing maps, little red pins of hope for someone who is searching for a professional locksmith company with a store: to get a key copied, or get a lock rekeyed or fixed without paying for a service call, or most likely, for an emergency lockout. So instead of pouring money into advertising, we did what we do best. We advertise locally, and most importantly, have reached out to our community. Brucar Locksmith will always make sure our clients, old and new, feel safe, respected and well taken care of. That is our plan for success. Recently, there was a report on ABC’s The Lookout that focused on the issue I mention above. Locksmith scammers. Fake Google listings. Fake addresses. 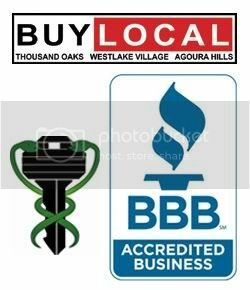 Locksmith companies that advertise as local but are the furthest thing from it. What we already know was solidified and the plan was to share the video on this blog. To round out the post, we had an emergency call in the evening right after the ABC show aired. At 2 am we got a call from a woman locked out of her home. When we got there and opened the door for the exact price quoted on the phone, the woman told us that we were not the first locksmith she called. She Google searched and saw that there was a closer locksmith that advertised as being in the Janss Marketplace in Thousand Oaks. She also knew who Brucar Locksmith is. She has seen our vans, seen our storefront. But at 2 am, she chose to call the company that seemed to be closer to her. Her account of what happened when this “Janss Marketplace locksmith” arrived could have been a part of the ABC expose!! The person arrived in an unmarked personal car and immediately told her that he would drill and the cost would be minimum 8x what was quoted on the phone. (let me say that sometimes, drilling IS NECESSARY! The difference is the locksmith using drilling as a last resort as opposed to the first thing he does). The client told us she felt that something was wrong and refused the service which turned into the “locksmith” bargaining with her. Ultimately, she handed him $20 to cover the quoted service call fee and called Brucar Locksmith. If you have met us, or used our locksmith services, please take a moment to put our number-805-241-0777, into your phone under LOCKSMITH. And if you are one of the people who think they will never need a locksmith? We truly hope that you never do. But why not just be prepared? Here is the link for the video if you missed it! Just copy and paste into browser. ← Listen to a professional: LOCK YOUR DEADBOLT!